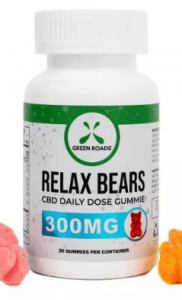 Not only are CBD gummies cute to look at, often brightly colored, and tasty to boot, but they are also an easy way to ingest CBD—and for some people, are much more palatable than your average CBD oil. We’ll be diving deeper into CBD gummies and their benefits, and taking a look at what’s on the market right now. Before we delve too much further into CBD gummies, it’s important to understand what CBD is. This means, generally speaking, CBD is more often accepted and doesn’t have quite as much negative connotations attached to it as THC. What’s the Difference Between Hemp-derived CBD and Cannabis-derived CBD? CBD can be derived from either what is classed as a hemp plant or what is classed as a cannabis plant. 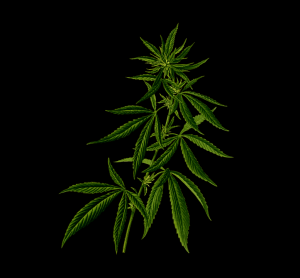 Technically speaking, all hemp plants are cannabis plants; they’re part of the same family (cannabis plants are harvested for buds, while hemp plants are harvested for the stalks and seeds). However, for definition purposes, hemp plants are the ones that contain less than 0.3 percent of THC. Any amount over that and the plant is considered a “cannabis” plant—meaning it has enough THC to potentially get someone high. Regardless of where it comes from, CBD will be low enough in THC that it won’t produce the high effect. However, CBD products, such as oil, or in this case even gummies, derived from a hemp plant, as opposed to a cannabis plant, are also said to have lower concentrations of CBD in them. Hemp-based CBD products, with their lower concentration of CBD, may not have as high an impact as cannabis-based CBD products. In terms of CBD gummies, those containing CBD derived from cannabis plants may be considered better by some, due to the higher impact of CBD—not that there’s necessarily anything wrong with CBD derived from hemp plants. In fact, most CBD gummies will be derived from hemp. CBD is said to have many reported health benefits, giving patients a more natural treatment option, compared to over-the-counter and prescription pharmaceutical-produced medications. CBD gummies offer patients a convenient and tasty way to benefit from these reported health benefits. The reported health benefits of CBD include relieving pain, reducing inflammation, inhibiting cancer cell growth, reducing stress, helping insomnia and other sleep issues, and, in some cases, reducing PTSD and other mood disorders. Quite commonly, CBD is linked to helping children with epilepsy (and CBD in gummy format is definitely a good way of inducing a child to take their medication). There are numerous other reported health benefits for CBD, but remember that research is still being done and that we’re still getting out of the age of biased (both pro and con) research when it comes to anything cannabis related. Also remember that CBD in any format is not a cure; it is simply reported to help with the above conditions. Why Choose CBD Gummies Over Other CBD Products? Ultimately, it comes down to personal choice. CBD gummies are just that—gummies. 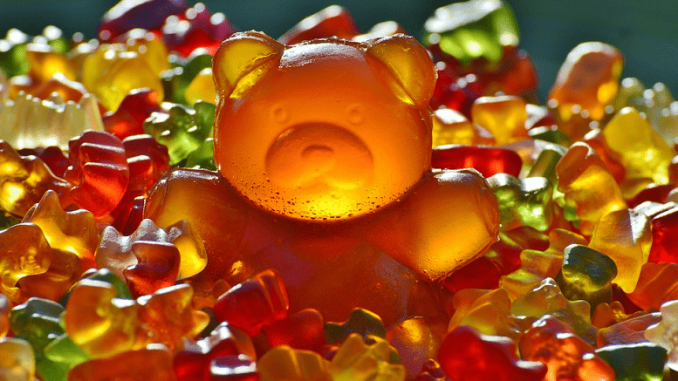 Often they look like a gummy bear, so if gummy bears are your candy poison of choice and you’re looking to test out CBD, then CBD gummies would be the perfect bear companion for you. CBD gummies come in a range of flavors, from sweet to sour, so there’s usually going to be something for everyone. Some people don’t like the idea of smoking or vaping, making edibles their ideal consumption format. But CBD has a very distinct, earthy taste that not everyone is a fan of. Consuming CBD as an oil, either straight or mixed into food or drinks, might not be enough to hide the earthy taste for some. That’s where CBD gummies start to look really appealing; the taste of the gummy overrides any other, perhaps unwanted, flavor notes. CBD oil is infused directly into the gummy. So, comparatively speaking, CBD gummies offer the same reported health benefits as any other CBD product, be that other edibles, sprays, or oils. If anything, a CBD gummy may be more fast-acting than an oil, as the CBD is absorbed directly via the digestive system when eaten (however, oils are said to be longer-laster). How you take your CBD really does just come down to personal taste. There are a lot of CBD gummies on the market. It can be difficult to wade through all your options. What CBD gummy product is right for you? That depends on what you’re looking for. 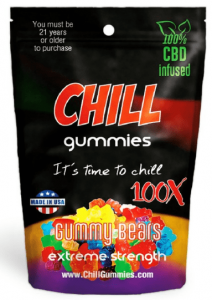 What are Some CBD Gummies on the Market? Keeping the above tips in mind, here are a couple of gummies worth checking out. 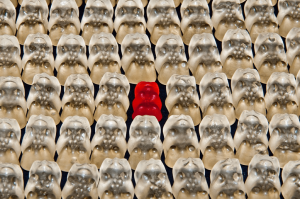 Diamond CBD has a great reputation in the edibles community. Offering a wide range of products infused with industrial hemp CBD, these products are tasty and effective. All products go through independent lab testing, are 100% all-natural, and are extracted from non-GMO, organic plants. These gummies provide a good overall therapeutic effect. 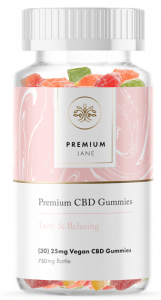 Premium Jane is one of the top-shelf CBD manufacturers in the US. Their formula is 100% vegan and free of pesticides, GMOs, solvents, and chemical fertilizers. These gummies contain zero THC and help handle fatigue, stress, sleep trouble, and, in some cases, even mild pain and discomfort. These gummies check the box on CO2 extraction and being full-spectrum CBD (zero traces of THC). They help with stress, depression, and pain, and the company is very transparent with its customers. So, after all that, happy CBD gummy hunting!